When it comes to visitor participation in cultural institutions, staff focus too much on #1 and not enough on #2. There are many participatory kiosks that are functional black holes--visitors make videos or draw pictures or write stories, drop them in a slot, and... nothing happens. Museum professionals tend to think this is OK because they think of the contributory act as the important part of the participation. But without responsiveness, you have a broken feedback loop. The response is what makes participation useful and meaningful to future users, including participants themselves. Imagine if Netflix encouraged people to rate movies but did not provide customized recommendations based on their ratings. Or if YouTube allowed people to upload videos but gave them no information about when those videos would be available for viewing. Such participatory activities would be seen as a waste of time. Why go to the trouble of creating content if nothing is going to happen because of it? 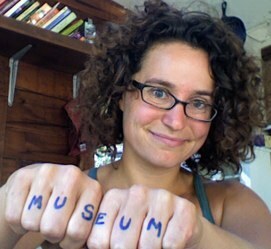 This sounds ridiculous, but it’s the way many museums approach participatory projects. Staff members design ways for visitors to contribute, but they don’t always provide clear feedback mechanisms so that visitors understand how and where their contributions will affect the institution overall. In many cases, museum staff erroneously assume that visitors want to participate “for the fun of it” and don’t care how and if their work will be used. Why does this happen? It’s easy to look at participatory websites and see the user-generated content without noting the underlying architecture that responds to user actions. Consider the activity of rating videos on YouTube. Why does YouTube allow users to rate videos? It’s not simply because it’s fun to rate things. YouTube invites users to rate videos because those ratings can then be used to prioritize which videos are better than others. The ratings provide valuable information about the relative value of videos, and the system architecture then uses that information to sort and present videos to subsequent consumers. The ratings are worthless without the architecture to respond to them. I think this is why the Top 40 exhibition at the Worcester City Gallery and Museum was such a success. In that exhibition, visitors could vote for paintings to move them up in a weekly "top 40" ranking chart. The paintings' ranks were tallied weekly and displayed on physical labels in the gallery as well as online and in the local newspaper. Visitors came back again and again to see how the ranks had changed and to advocate for their favorites. It wasn't the voting mechanism that drew them back--it was the fact that the institution consistently responded to their votes in a compelling way. Seeing that their votes mattered likely made people feel more invested in the exhibition (and by extension, the institution) overall. The concept of responsiveness can easily be extended to all kinds of participatory museum projects. Consider video kiosks in history museums that allow visitors to comment on exhibitions or share their own stories related to the content on display. These kiosks are frequently designed to make contribution as easy as possible. They are rarely designed, however, to “get better the more people use them.” Such kiosks would get better if contributors were informed of when their videos would be reviewed and how their work would be displayed to subsequent visitors. They would get better if visitors were invited to rate other participants’ videos, to sort them by topic or tone, or to comment on them. Most video kiosks don't provide ways for visitors to sit down and watch videos based on their particular interests. Visitors can't flag inappropriate or empty videos. And contributors can't see how others have rated, commented on, and enjoyed their work. The result is a broken feedback loop. Exhibition video kiosks are degraded to playthings for people who like to see themselves on camera. Occasionally, a visitor will record something truly special, but the review and display systems are rarely set up to highlight those gems, and they certainly aren’t set up to do so based on visitor feedback. If museums are serious about inviting visitors to participate, they need to design structures for participation that embrace the full spectrum of participatory behavior and provide responsive value to those who engage. It’s already hard enough to ask a visitor to make a video or craft a sculpture or write a label in the course of her visit. These endeavors are considerably more successful when visitors understand how their participation will impact not just their experience but the experience of subsequent visitors and of staff members. A participatory museum isn’t just open to visitors’ contributions. It acts on those contributions and adapts to better support them. It transforms the contributions into a beautiful, engaging, educational, and meaningful output. By being responsive, it makes participation matter. Yesterday, I had the delightful opportunity to participate in the 3six5 project, a yearlong participatory project in which 365 people write 365 journal entries for every day of 2010. The posts are short (365 words or less) and are intended to give a personal snapshot of that individual's day. Participants signed up in advance, and the projects' co-managers shepherd contributions through with a set of clear author guidelines and well-coordinated email correspondence. It offers an enjoyable activity that is scaffolded by simple specifications without prescribing any particular result. Participants can share their days however they please, as long as they write 365 words or less and include a picture. The reward for participants of having your contribution displayed is fairly and clearly structured. Participants only get 24 hours of fame, but they know exactly when they are. It's also easy for participants to promote their posts by sharing them on social networks and via email. It combines personal stories with a sense of being part of something bigger. The project's originators call it "a crowdsourced journal of 2010." The story we tell together may not be profound or historically significant, but it's intriguing for its diversity of style and content. I think of 3six5 as a coffee table book that is being written one day at a time. Participants sign up in advance, but then have time to consider their contribution. This separates the desire to participate from the actual generation creative output. Of course, it also causes some stress for the project managers (two Chicagoans named Daniel and Len), who have to track down contributors each day to remind them about their upcoming contributions. The project is easy to set up but complex to administer. In advance, Daniel and Len had only to promote the concept, set up the website, and start soliciting and slotting in contributors. But now, they have to continue to market the project, while also getting a post out the door every day. They run a virtual newspaper written by a reporter they've never met, who is replaced every single day. Participating in this made me wonder: could a museum or library run a project like 3six5? The reasons to do so are many, particularly for a history-focused institution. Such a project would connect community members to the institution, promote the idea that history is being made everyday by regular people, and showcase local, contemporary stories. Perception of lack of significance. Even as museum staff try to convince visitors that personal journals from the 1800s are thrilling, staff may not think it worthwhile to help visitors write about their own lives. Complexities of project management. The 3six5 requires maintenance and communication with contributors every single day of the year, including weekends. Museums and traditional institutions are not typically set up to manage participatory projects at such a high level of detail. These institutions are highly capable of managing the complexities of building maintenance and security on a daily basis, but few other functions of the institution are handled this way. Both of these barriers are easily overcome, not with dollars or equipment, but with a change in attitude. Could your institution make the change? I'd love to hear your thoughts on whether projects like 3six5 make sense for cultural institutions, and if so, what you think it would take to make them happen. And you might want to check out my 3six5 post about waking up in the woods on Feb 22. I promise a very different window into my life. When in Your Life Were You Most Afraid to Talk to Strangers? Yesterday, I did a workshop with some local teenage girls in an after school program. I asked them to take the social object challenge - to talk to a stranger, get two strangers talking to each other, and create an object to get strangers talking to each other without their intervention. We were in a busy downtown area of Santa Cruz with lots of people strolling and hanging out outside on a gorgeous day--prime "talk to strangers" material. Before we got started, I asked them how they felt about talking to strangers. They exploded, speaking all in one voice: "I don't even like ordering food in a restaurant." "I ask my little brother to call for appointments so I don't have to." "I like it when people--even weird people--talk to me, but I never ever will be the one to approach a stranger." These girls made it clear that while most of them enjoy social encounters, they almost always want someone else to start them. And there were a few girls who wanted nothing to do with strangers at all. Needless to say, this led to an interesting workshop. They were nervous but ready for the challenge, and when I explained the idea of social objects (external objects that can be the basis for conversation) they got pretty engaged in the activity. One pair of girls did a survey in a grocery store about whether "the grass is always greener on the other side." One pair started out with a "chicken and the egg" question, but then moved to something more interesting and subversive (a sign outside a pharmacy that recently was bought by CVS asking people which business they preferred). As one girl said, "when we had a mission and a sign, it was easier to talk to people." After this was all over, we talked about the experience. While they had mostly developed performative approaches to the task, by the end, they were more interested in developing listening approaches - for example, constructing a "tell me a story" booth. And while most of them aren't likely to jump at the opportunity to talk to strangers in the near future, several commented that they'd like to try more "social engineering" experiments in their lives. For me, the experience changed my perspective on what teens want from social environments and encounters. Frequently, when cultural professionals talk about making museums and libraries more open to young people, we focus on social events and on the idea that these are people who would really LIKE to interact with others in the cultural space. It's easy to forget that teens are most comfortable being social with those they already know, not people who are unknown to them. Online, see Danah Boyd's research for more on how teens use social networks as an extension of pre-existing relationships as opposed to using online environments to meet new folks. But the experience also reminded me that with a game, a mission, or an external prompt, the same fearful kids can become engaged with strangers in enjoyable ways. And in this way, they're no different from many adults. Or are they? When I talked with (adult) friends about the experience, some wondered if kids today are acculturated to be more afraid of strangers than kids were in generations past. I'm not so sure this is true. Until I was about ten, I was scared to ask for directions or talk to strangers in public. I don't think I was afraid of the strangers--I was afraid of exposing and embarrassing myself. This is a developmental thing. As you get older, you get more comfortable talking to strangers. This is a cultural thing. These girls grew up in the US in a post-9/11 world, in a culture of fear that is more powerful than the one I grew up in. What's your experience? Has your attitude toward interacting with strangers changed during your life, and if so, when and why? Posted by Nina Simon 19 comments, add yours! Signs like this one (spotted in the window at a large science center) drive me nuts. Why? Because they validate the highly-problematic concept of membership as a discount. There are many folks who've written about the problems with "value" membership and have recommended that cultural institutions reorient toward offering "affinity" or "relationship" memberships. While value membership focuses on free admission and discounts, affinity membership focuses on building relationships and supporting a community of highly invested visitors. Making the switch from value to affinity membership programs can sound risky. Value membership is a big business, especially in a tough economic climate. Families like the idea that museum memberships offer a low-cost alternative to recreational activities like the movies, which cost money every time you go. With a membership, you can come to the museum whenever you want--something more visitors may take advantage of as more expensive recreational activities are cut from family budgets. Unsurprisingly, museums are loathe to cut or alter membership programs that successfully serve visitors' needs and generate revenue. So what can an institution do if staff would LIKE to move towards affinity memberships but don't want to risk losing the revenue and relationships generated by value memberships? I have a simple recommendation: create two kinds of membership. Offer an annual pass to those who want free admission, and offer a different kind of membership to those who want a deeper relationship. This allows institutions to focus specific resources—discounts, personal attention, and opportunities for deeper experiences—towards the people who want them. While the groups do overlap, in general, annual pass holders and affinity members want different things. Annual pass holders want free admission and good experiences during their visits. Affinity members want a deeper connection with the institution, which often involves exclusive content or programs. Each of these groups may not care for the services offered to the other. Splitting the groups reduces institutional waste and is more likely to deliver satisfying experiences to different types of members. Some visitors may fall in both categories, but if the different programs are clearly communicated, frequent visitors might choose to become both annual pass holders and join the museum club. When it comes to optimizing the experience for annual pass holders, all those expensive newsletters may not be effective. Annual pass holders tend to be a high-churn group. To increase renewal rates, institutions should focus resources toward encouraging them to attend, since "doing the math" on visits is the reason they joined in the first place. They didn't join to get special behind-the-scenes content or access to special programs. They joined for free admission, responding to marketing pieces like the sign shown at the top of this post. In contrast, affinity members may or may not care about free admission. They may care more about being able to talk with curators, attend special events, or contribute to upcoming exhibitions or programs. Some institutions have started offering niche memberships to reach visitors with particular affinities--for example, the Brooklyn Museum with 1stfans (geared toward "socially networked" free 1st Saturday attendees), or COSI with its premium membership (geared toward families with very young children). These membership programs are necessarily small, because they cater to the interests of particular segments of the larger visiting community. For example, COSI's premium membership provides families with access to extended morning hours in their early childhood exhibit area--a benefit that only appeals to visitors who want an exclusive morning experience with their children. There may even be some kinds of affinity membership that don't cost money to join. Every time a visitor signs up for a mailing list or leaves a comment at the front desk, he expresses his affinity for the institution. I've been working on one project in which we are conceptualizing membership as something you can achieve through multiple visits/contributions, not something you can buy right off the bat. The idea is to model membership off of more natural forms of relationship-building between humans--the more time we spend together, the more substantive that time is, the more we get to know each other and to provide for each other. While I'm aware that some institutions have gotten push back from visitors when they introduce overly prescriptive membership types, I think that people are pretty comfortable with the difference between an annual pass and a "friends" group or niche memberships. What do you think? What's the best way to share information about your experiments--what worked and what didn't? Publish. I want to share a few fabulous evaluation and research studies that have greatly informed my work (and specifically, the development of The Participatory Museum, which is going to the printer this weekend). Note: these are all downloads, which means when you click on the link it will ask you if you want to save a document. The Catalyst for Change social impact study from the Glasgow Open Museum. This report, published in 2002, chronicles the history and impact of an extraordinary institution founded in 1990 to make museum collections available for use by community members for their own purposes. As founder Julian Spaulding said, "The intention was to deliver what people wanted rather than what the museum thought they wanted or what the museum thought they ought to want." The evaluation of the first Turkish Living Library, held in 2007 at the Rock for Peace festival in Istanbul. The folks who ran this event required every single participant to fill out an evaluation form, and this report demonstrates their overwhelming enthusiasm for the program as well as the tremendous social learning outcomes. The comically positive graph at the top of this post comes from this report. Dialogue in the Dark visitor and guide impact studies. This amazing "all dark" exhibition, which visitors experience in groups led by blind guides, has reached millions of people around the world. These impact studies demonstrate its incredible power both as a memorable visitor experience and as a positive impact on blind guides' social and professional lives. OK, this isn't one download, but I want to honor the Exploratorium, which publishes all of their research studies for public download here. One of my favorites that I've frequently returned to is Sue Allen and Josh Gutwill's 2004 paper, "Designing for Interactivity: Five Common Pitfalls." The content is relevant to all kinds of museums, not just science centers. A paper on "Evaluating participatory, deliberative, and co-operative ways of working," put out by the InterAct group in England. This useful and easy-to-understand paper spells out several considerations of planning evaluation for participatory projects. Most of the examples are from British civic projects, but there's lots of useful information and frameworks for projects in any field. There are many other fabulous reports out there to learn from, but there are far more languishing in file cabinets. I was a bit surprised as I worked on the book at how often I could get access to a evaluation report with some sleuthing and asking--and how infrequently those reports were publicly available in any form. Please, if you go to the time and expense of evaluating your institution's projects, find a way to share what you've learned. How do you write a question for a comment board that will generate authentic, on-topic, diverse, interesting visitor comments? While I've written before about types of questions that tend to be more successful in this regard, today I want to share a simple exercise I've been using with museums of all types to help staff members develop better questions for visitor response. Get a group of staff members together around a table. About ten is good, but this can work with anywhere from six to twenty. Explain the exhibit or topic around which you want to generate a visitor response question. Ask each person to write a question on the top of their sheet that they think might work. Make sure they write legibly. Everyone pushes their sheet to the center of the table. Now, each person grabs another one (someone else's) and writes their own answer on the sheet. Once you write an answer, push the paper back to the middle and grab another. If you can't answer a question or if it confuses you, put a question mark. Repeat until each person has answered five or six questions. Pencils down. Lay out all the sheets around the table and walk around looking at them. These are your "exhibits." Make mental note of which ones are most interesting to you as a "visitor" reading them. Have a discussion about the questions that really seemed to work and not work. Discuss this both from the perspective of which questions were easy to answer and which yielded interesting results. This whole process should take about fifteen minutes. I find it to be really useful because it helps people quickly see that there IS a difference in how people respond to different questions, and that designing better questions can yield more interesting results. It's much faster to learn with a group of questions than it is to slowly replace a question in the gallery successively over time. You can make direct comparisons in real-time, and the speed of the exercise means no one gets too precious about their own question being "best." It's a form of public-private brainstorming. Last week at the Art Gallery of Ontario, a group of staff applied this exercise to design a question for a comment station next to a giant sculpture of a palm tree on its side with its huge root ball exposed. We quickly discovered via the exercise that the question, "What does it mean to be uprooted?" yielded much less interesting results than, "Have you ever been uprooted?" Now, you could argue that of course the second question was better because it was more personal. But doing exercises like these helps people learn rules of thumb (like "personal questions are good questions") through doing, and that makes the lesson more likely to stick. I'm learning things from this exercise all the time. Two weeks ago, at the Levine Museum of the New South, I learned that "What was your best job?" is an inferior question to "What was your worst job?" My guess is that people revel in telling more detailed stories about pain than pleasure--but I'll have to keep testing this before I feel confident about it. One more thought: if you want to do this exercise but don't have a specific topic or exhibit in mind, you can use the prompt, "Write down a question for which you would be genuinely interested in hearing a stranger's response." Ultimately, this is what all comment stations are about, and at least for me, these are the toughest questions to write.